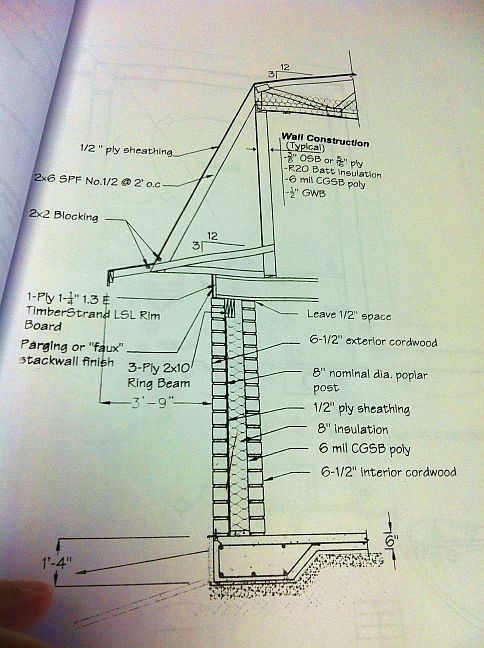 “Matchmaker, matchmaker make me a match, find me a catch, catch me a catch…” That is precisely what is going on with Clarke Snell’s hybrid cottage. 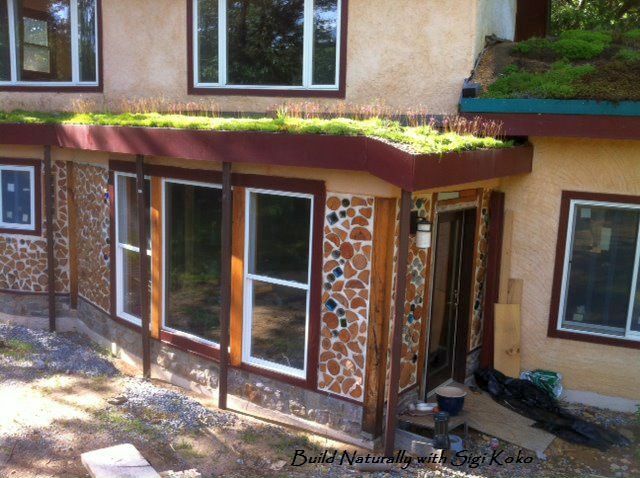 One wall is cordwood, one wall cob, one strawbale and one earthen plaster, topped off with a living roof. 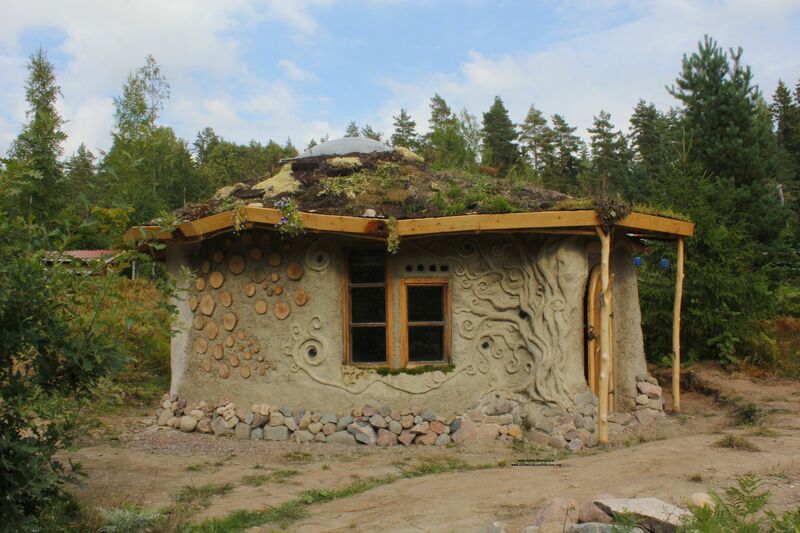 The cob wall and living roof (top). 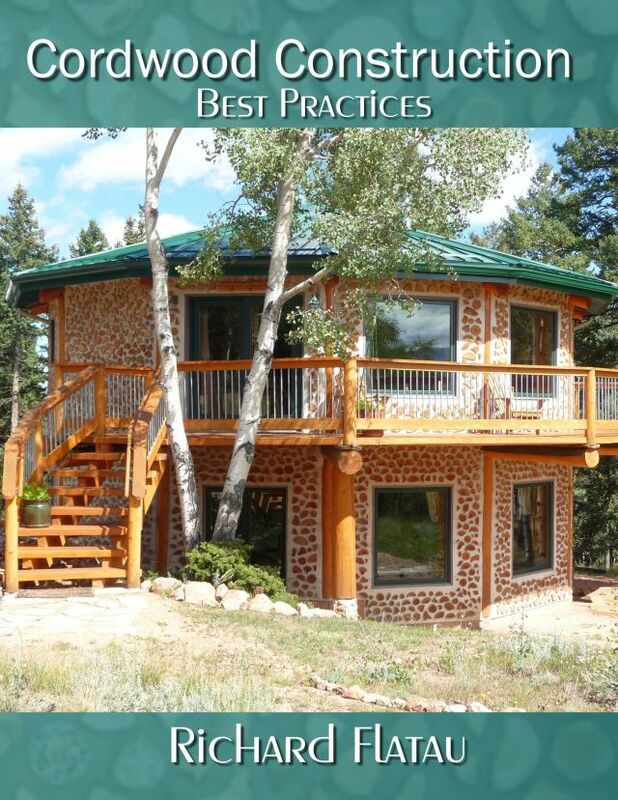 The cordwood and strawbale wall (bottom). 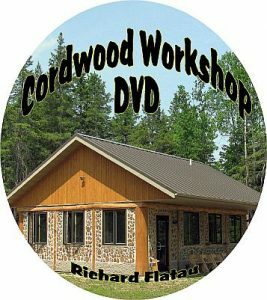 Cordwood and cob play very well together. 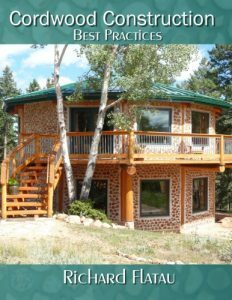 So do strawbale (balewall) and cordwood (in this instance in Manitoba, Canada, the cordwood is double wall. 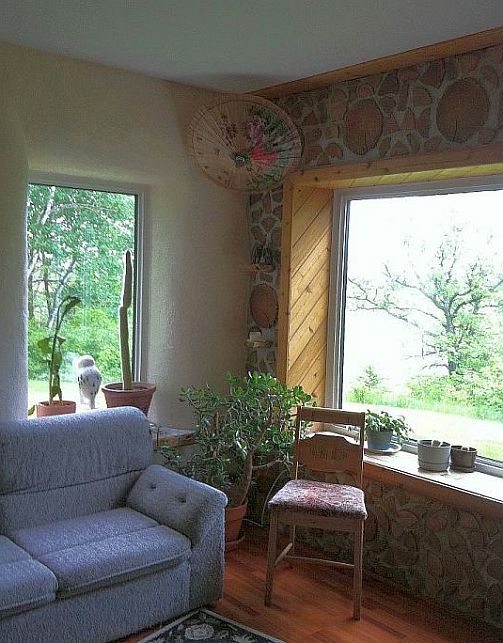 This how the strawbale and cordwood look when they meet in the corner of the room. 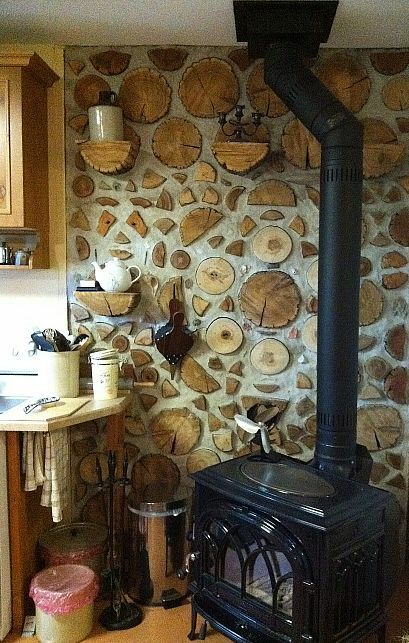 This is cordwood in the kitchen in the lovely Cannon home in Antelope Valley, Manitoba, Canada. 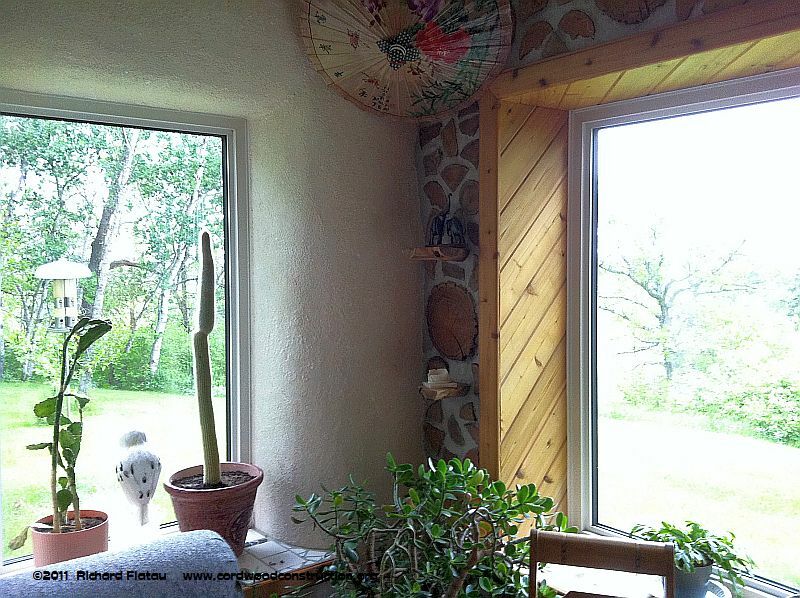 Sigi Koko has added a cordwood green house/sunroom in a strawbale and earthen plaster home in West Virginia. 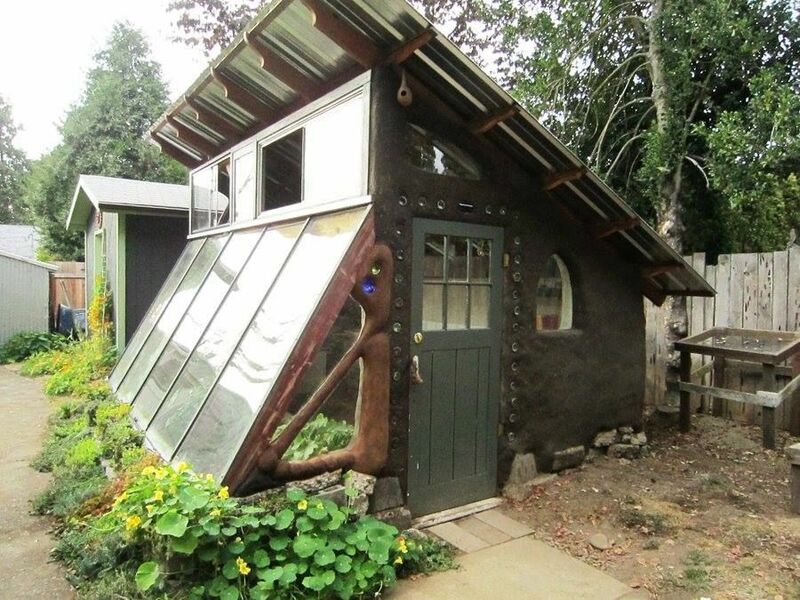 Below is a cob and bottle wall greenhouse with excellent framing. 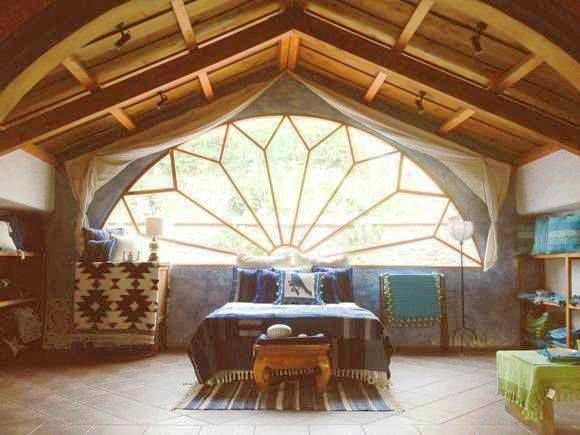 Windows and wooden framing make for astounding light and views. 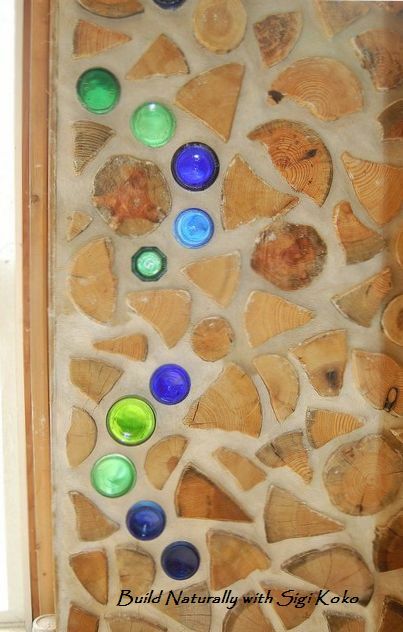 Cordwood and bottle bricks brighten up the walls.